The introduction of the broadband technology is one of the best contributions ever to the Internet. Before broadband was introduced a lot of people were used to traditional forms of Internet connection, and in most cases these traditional forms of Internet connection were very limited. With broadband, things began to get better. People could get access to the internet at a speed 10 times faster than dial up, and they also have the option to choose which offer they want. 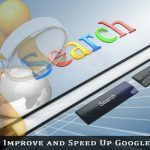 As time went on the speed broadband Internet offers increased, broadband started becoming more popular around the world and a lot of new security features were added. 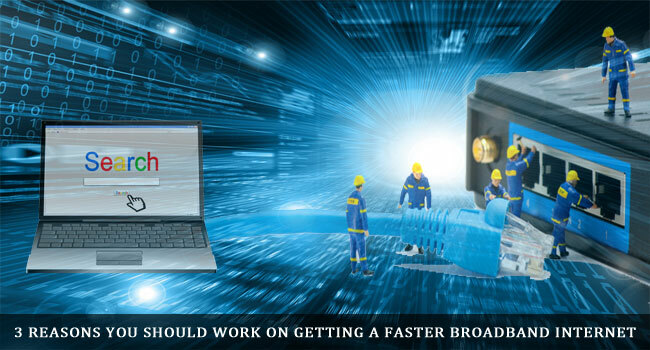 The reality is that speed is currently the most important factor that should be considered when trying to choose a broadband internet service, and this article will be giving you 3 reasons why you should work on getting a faster broadband Internet connection. The number one reason why you should work on getting a faster broadband Internet connection is that it saves you time. If a website you visit takes around 10 seconds to load, imagine what you can do if that same website only loads in 2 seconds? You might be thinking about the price benefits of using an Internet connection that is slower, but on the long run, by getting the right Internet connection you will be able to save a lot more time and make a lot more money to cover the costs of your Internet connection. he next major reason why you should work on getting a faster broadband Internet connection is that it saves you money. The reality is that you might have to pay some extra bucks for that Internet connection, but if properly used, that Internet connection will end up saving you hundreds of dollars. For example, what if you stop paying for TV access and start using your Internet for TV access? What if you stop taking cabs whenever you go to the mall and start using the Internet for your purchases (while at the same time benefiting from special offers)? Having a faster broadband Internet connection makes it easy for you to get a lot done and replace a lot of traditional gadgets in your home – by looking for ways to better leverage your Internet connection you will discover you can save quite a lot on Internet access monthly. Aside from saving you money or saving you time, getting a faster Internet connection also makes you more productive. We become more productive when things start to go seamless for us. For example, when working online there is a particular flow I feel – It could be when I’m writing, researching or doing something else – whenever I experience any “block”, this flow will disappear and as a result I’ll be less productive. By working on getting the right Internet connection you will be able to get things done faster, and as a result want to do more. I am happy that someone is really doing some good work i like your post. Nice post paul! There are many internet service providers who offers excellent broadband packages. just compare and choose the one to get best advantage.